The address listed for the organization United States-Chechen Republic Alliance, Inc. on Walden Road in Silver Spring, Maryland may be just as interesting as its president, Lyoma Usmanov. And because records show that Alvi Tsarnaev, paternal uncle of Tamerlan and Jahar, once resided at this address it could prove even more interesting. But just how accurate are the reports that Alvi was involved with the United States-Chechen Republic Alliance, Inc. and Lyoma Usamanov? Nice of them, eh? I’m not judging them for opening their home but I am wondering why they opened their home. I don’t believe either of them have a Chechen background and, seriously, how do random people get involved in that kind of gig? 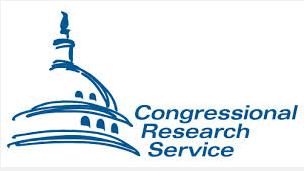 “The Congressional Research Service (CRS) works exclusively for the United States Congress, providing policy and legal analysis to committees and Members of both the House and Senate, regardless of party affiliation. As a legislative branch agency within the Library of Congress, CRS has been a valued and respected resource on Capitol Hill for nearly a century. If you have nothing social planned for the next two weeks try plowing through THIS behemoth of a report on terrorism completed by the CRS three months before the Boston bombings. And then explain to me again how the Boston bombing happened and how the federal government let two alleged terrorists slip through their fingers. By the way, did you know that the US government has yet to declare the Boston bombing an “act of terror?” But I digress. 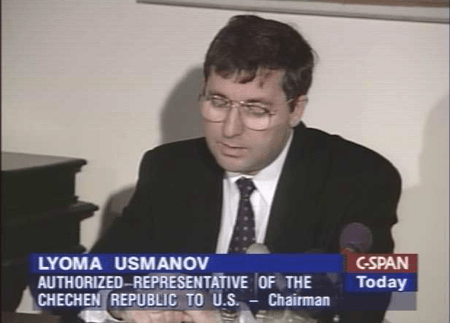 Other people tied to Reichel include Zarema Mazeva who listed herself as an employee at the Library of Congress as well as a resident of Reichel’s Walden address. She appears to own some sort of translation service and received two CAGE Codes from the federal government: SIC73 and 328F9. What is a CAGE Code, you ask? Another CAGE code associated with the Walden address is 4QQA4 listed for one Andrey N. Suvorov. Now this guy (or his company) was paid through the DoD’s Defense Contract Management Agency. The company’s SIC Code 9711 represents “National Security.” Suvorov also has a second CAGE code based on what appears to be a real estate company located Panama City which is interesting only because Larry Ellis’ an online profile states he wants to move to Boquete, Panama. Nothing like a nice little getaway to the land of money laundering and cocaine trafficking, am I right? Suvorov also appears to have a Consulting business and a motion picture production company listed at Reichel’s address. The property was also listed on sharemyroom.com, a website registered to a Asim Ismail in Pakistan. It was posted back in 2011 with the contact names of Christina and Larry. It appears Reichel and Ellis were still a couple after Khassan Baiev met them back in the early 2000’s. Two other companies registered at the property include Omniventures, Inc and the Federal Marketing Government Group.